This new Local Law affects much of the training required for construction workers on most jobsites in New York City. In addition to training certifications it also affects the daily safety documentation of jobsite tasks, as well as the annual orientation of workers. If your work permit requires the sign off of a Licensed Construction Superintendent, Licensed Site Safety Coordinator, or Licensed Site Safety Manager than all workers on the site must conform with the SST Standard. This includes any vertical or horizontal enlargement of an existing property, new construction 4 stories and taller, and façade restoration projects above 14 floors in height. What training will most workers need? 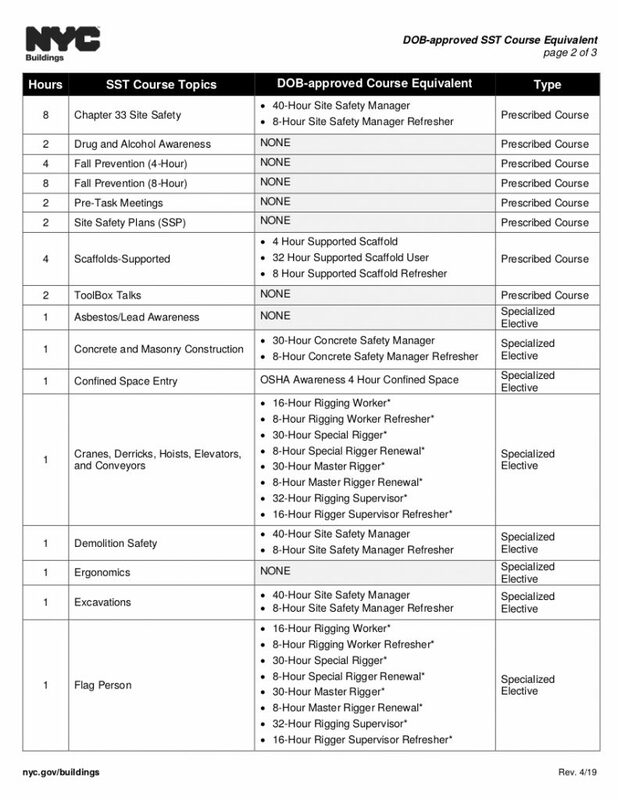 30hr OSHA Construction – online training is only allowed if it is “actively” proctored. 2hr Drug & Alcohol Awareness – Addiction has infested modern society and adversely affects safety on our jobsites. The NYC Dept of Buildings course address getting help and identifying these hazards. 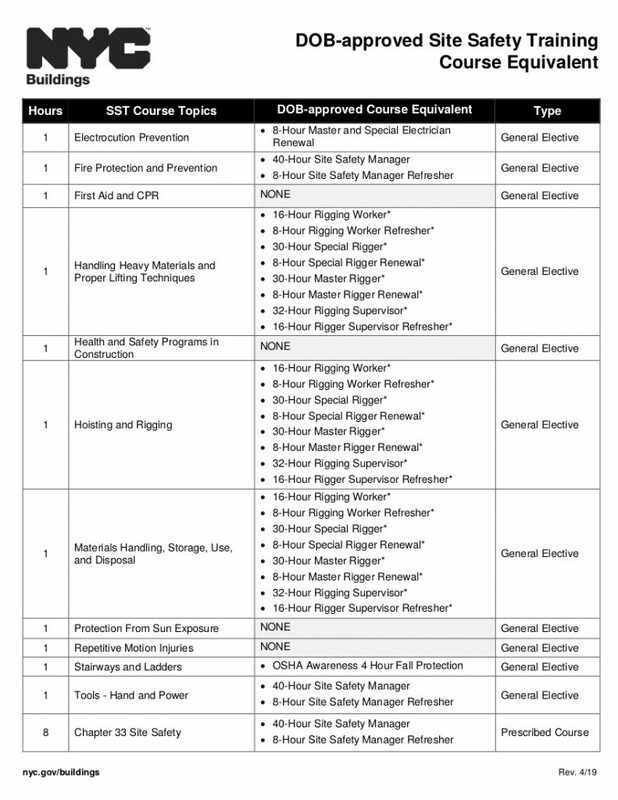 Once you complete these course you can upload them to SST Card Tracker and become eligible for your SST (Site Safety Training) Card. 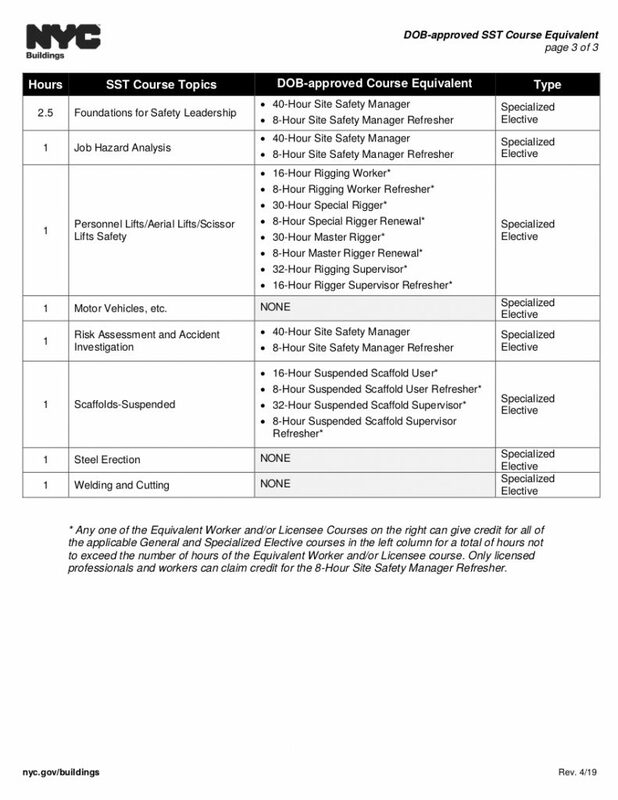 What training will “Supervisors” need? Supervisors are defined as: Licensed Construction Superintendents, Site Safety Coordinators, Site Safety Managers, and designated competent persons must take 62hrs of Training. We will put together a special 10hr program over two evenings to cover the 2 hr courses needed by Supervisors. This should be added to the 8hr Site Safety and 4hr Supported Scaffold Refresher classes as well as the 40hr requirements for all workers.